#1 New York Times Bestseller Significant...The book is both instructive and surprisingly moving. -The New York Times Ray Dalio, one of the world's most successful investors and entrepreneurs, shares the unconventional principles that he's developed, refined, and used over the past forty years to create unique results in both life and business-and which any person or organization can adopt to help achieve their goals. 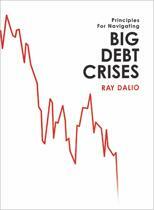 In 1975, Ray Dalio founded an investment firm, Bridgewater Associates, out of his two-bedroom apartment in New York City. Forty years later, Bridgewater has made more money for its clients than any other hedge fund in history and grown into the fifth most important private company in the United States, according to Fortune magazine. Dalio himself has been named to Time magazine's list of the 100 most influential people in the world. Along the way, Dalio discovered a set of unique principles that have led to Bridgewater's exceptionally effective culture, which he describes as an idea meritocracy that strives to achieve meaningful work and meaningful relationships through radical transparency. 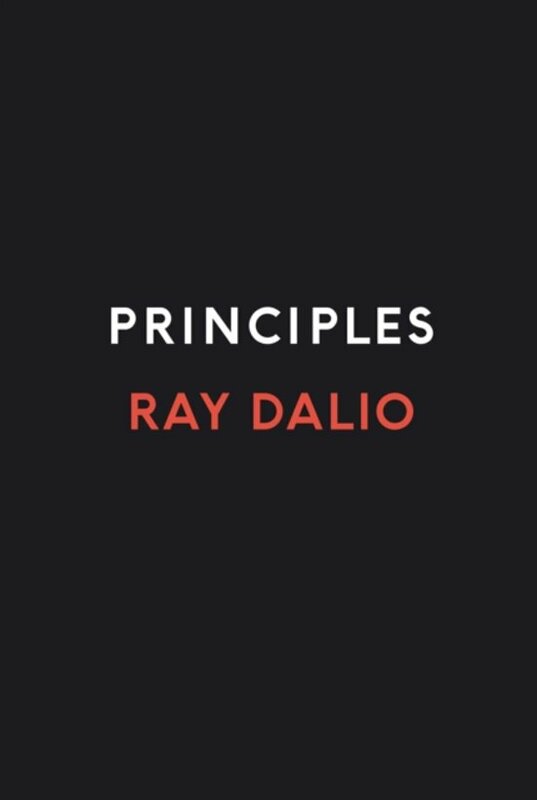 It is these principles, and not anything special about Dalio-who grew up an ordinary kid in a middle-class Long Island neighborhood-that he believes are the reason behind his success. In Principles, Dalio shares what he's learned over the course of his remarkable career. He argues that life, management, economics, and investing can all be systemized into rules and understood like machines. The book's hundreds of practical lessons, which are built around his cornerstones of radical truth and radical transparency, include Dalio laying out the most effective ways for individuals and organizations to make decisions, approach challenges, and build strong teams. He also describes the innovative tools the firm uses to bring an idea meritocracy to life, such as creating baseball cards for all employees that distill their strengths and weaknesses, and employing computerized decision-making systems to make believability-weighted decisions. While the book brims with novel ideas for organizations and institutions, Principles also offers a clear, straightforward approach to decision-making that Dalio believes anyone can apply, no matter what they're seeking to achieve. Here, from a man who has been called both the Steve Jobs of investing and the philosopher king of the financial universe (CIO magazine), is a rare opportunity to gain proven advice unlike anything you'll find in the conventional business press. De titel suggereert een zoveelste filosofisch boek over succes. En dat is het ook. Tegelijkertijd heb ik zelden een boek gelezen met zoveel praktische adviezen. Het lijkt wel een concrete (en tot in het kleinste detail soms) manual voor ondernemers en voor managers. Dit geldt dan vooral voor het deel Work Principles. Dalio geeft een heel eigen kijk en verschilt duidelijk van veel "succesauteurs" die dikwijls elkaars inhouden herkauwen. Deze keer is de inhoud gebaseerd op een echt gebeurde realiteit in een keiharde financiële wereld waarbij de inzichten van Dalio stelselmatig zijn opgebouwd gedurende 40 jaar. En hij heeft dit ook bijzonder goed en overzichtelijk gestructureerd. Zonder twijfel beste boek in jaren (en ik lees er heel veel) en zijn investering dubbel en dik waard. Wat zeg ik: het duizendvoudige. En wacht niet op de Nederlandstalige versie. Het Engels van Dalio is vlot leesbaar. Veel inzichten verkregen en veel geleerd. Dit is een must voor mensen die een leidinggevende positie hebben met veel macht. Beste klant, Het boek is momenteel alleen in het Engels beschikbaar en is nog geen vertaling bij ons bekend. Hartelijke groet!